GEJ and Buhari's meeting lasted for just 5 minutes? 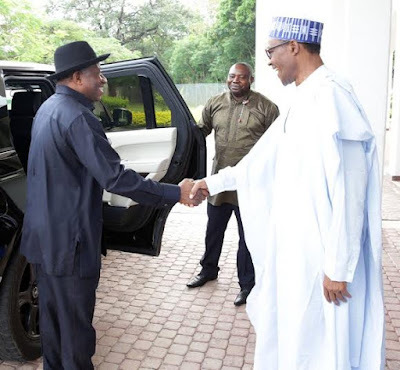 According to sources in the state house, the closed door meeting between former president Goodluck Jonathan and President Buhari yesterday lasted for about 5 minutes. Jonathan is said to have arrived at the state house in a black SUV at exactly 2pm, went straight to the banquet hall where he met Buhari and came out 5 minutes later. He reportedly left the state house premises at exactly 2.07pm without talking to any journalists.